BRECKENRIDGE, Colo. – Sleeping guests inside a Breckenridge, Colorado, home were awakened early Friday morning to the sound of broken glass. Thinking they were being burglarized, the guests called 911. But when officers arrived on scene, they soon discovered the trespasser was not the typical troublemaker they regularly encounter. 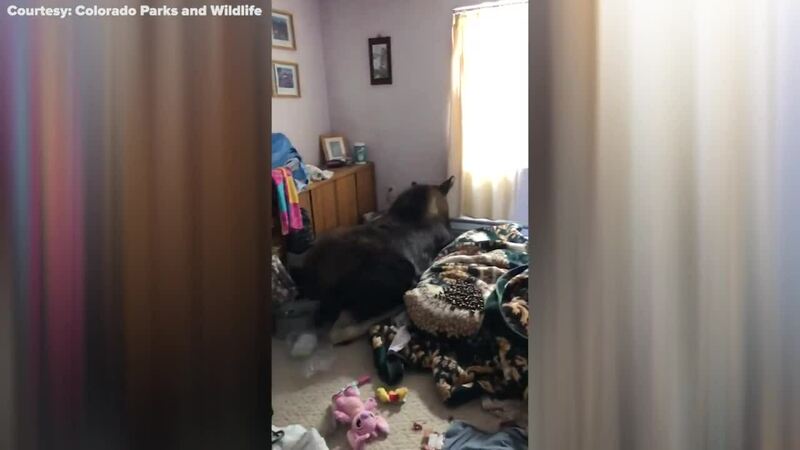 CPW officers were able to tranquilize the moose and, with the help of Breckenridge Police and the Red, White & Blue Fire District, moved the moose through a tight stairwell to get her upstairs and back outside to an awaiting trailer. The moose was released into prime moose habitat in Grand County, according to a CPW release.